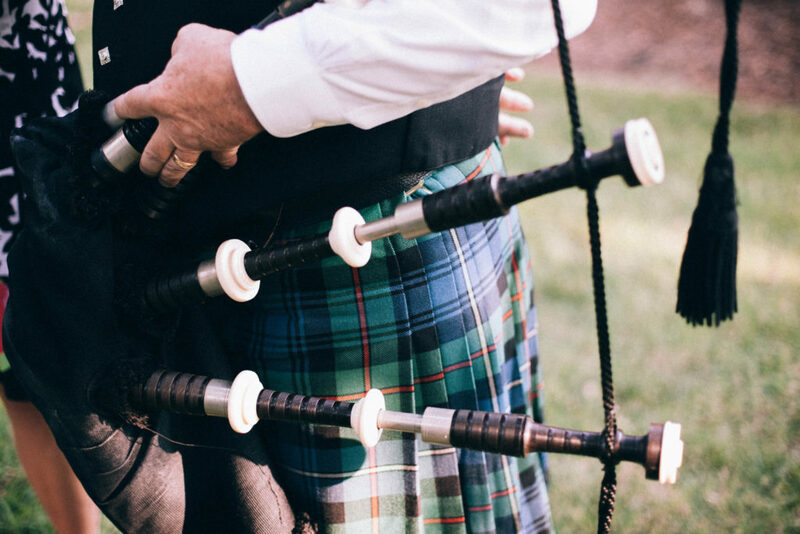 With March up on us, everyone is celebrating the luck of the Irish, but here in Appalachia and North Carolina High Country, much of our agricultural, musical, craft, and storytelling heritage is influenced by Scots-Irish settlers. These settlers migratory history is based upon issues such as war, economic hardship, religious conflict, and the promise of a better life. The Scotch-Irish migration began in the early 17th century when Britain’s King James I encouraged his Scottish people to migrate across the Irish Sea to Ireland. The king’s motivations behind this migration varied. Presbyterian James wished to convert and control his Irish Catholic subjects by planting loyal Scottish Protestants in Ireland. Also, he promised a better life in Ireland, due to economic hardships in Scotland. At that time, Lowland Scots settled in the Ulster region of Ireland where they became known as Ulster Scots. This movement caused conflict. The native Irish who were dispossessed from their lands violently resisted the Scottish newcomers. This conflict contributed to the mid-century Civil War that caused much destruction. Also, the Ulster-Scots suffered religious persecution, and by the end of the 17th century, many were ready to migrant once again. Word of opportunity and freedom spread to the Ulster-Scots through Irish crews coming back from American ports describing the wonders of The New World. Between the 1680s and 1815 at least 100,000 Ulster Scots embarked on a new migration to North America. The majority of the Scots-Irish immigrants settled near the ports of Philadelphia because of the vital trade that linked the port of Philadelphia with Ulster ports. However, some arrived along the Atlantic Coast, and some were driven to the Piedmont region of North Carolina. Eventually, these areas could not accommodate all of these immigrants. By the 1780s, Scots-Irish were pushed into the western Appalachian Mountain region of the Carolinas and Tennessee. Later in the 19th century and by the Civil War, the migration of the Scotch-Irish to western North Carolina was completed. Tens of thousands of them had arrived, in a multi-generational movement of settlement and resettlement. They brought with them their religion, folk traditions, and cultural traits which contributed to the distinctive cultural mix that developed in Southern Appalachia. Today, the Scotch-Irish influence continues to impact the people of western North Carolina. In the North Carolina High Country, visitors can learn more about the heritage of the Scots-Irish and other immigrants. Horn in the West outdoor drama and Hickory Ridge Homestead are right here in Boone, North Carolina! As the nation’s longest-running Revolutionary War drama, Horn in the West is performed in the beautiful 35-acre Daniel Boone Park in Boone. Horn in the West pays tribute to the courage and determination of the early settlers who came to the Blue Ridge Mountains seeking freedom and escape from British oppression. The story tells of the lives of these mountain people during the turbulent years of the Revolutionary War. A well-known character portrayed in the drama is Daniel Boone, for whom the town is named. More than 1.4 million guests have seen Horn in the West since it opened in 1952. The script was written by Dr. Kermit Hunter, who also authored the original Cherokee drama Unto These Hills and 40 other historical productions. Located on the grounds of Horn in the West lies the Hickory Ridge Living History Museum. The 18th-century museum gives visitors a feeling for the daily lives of early mountain settlers, as the staff dress in period clothing/costume. The museum strives to recreate the atmosphere of a small mountain community around the time of the Revolutionary War and offers demonstrations in fireside cooking, spinning, hand-sewing, blacksmithing and other crafts. The 2018 season of Horn in the West outdoor drama runs June 22nd-August 11th, Tuesday through Sunday. The Hickory Ridge Living History Museum is currently open from 10:00 am to 2:00 pm Tuesday through Sunday. 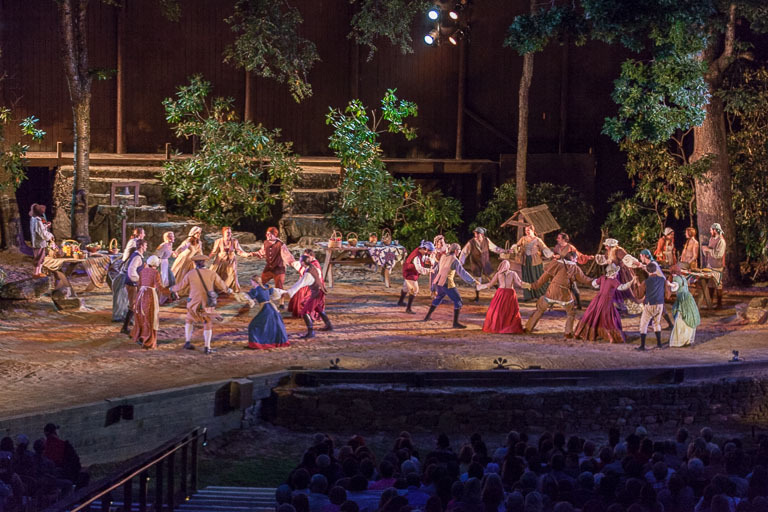 Click Here to for more information and to purchase tickets to the Horn in the West outdoor drama for the 2018 season!